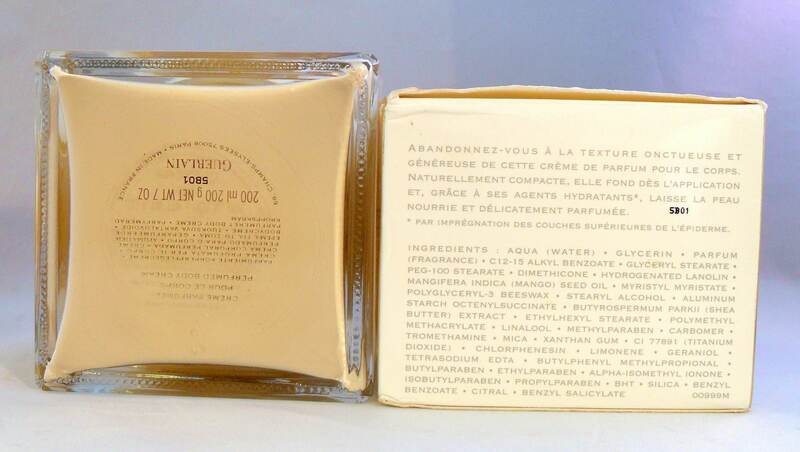 Vintage L'Instant de Guerlain 7 oz Perfumed Body Cream in Box. Launched in 2003. 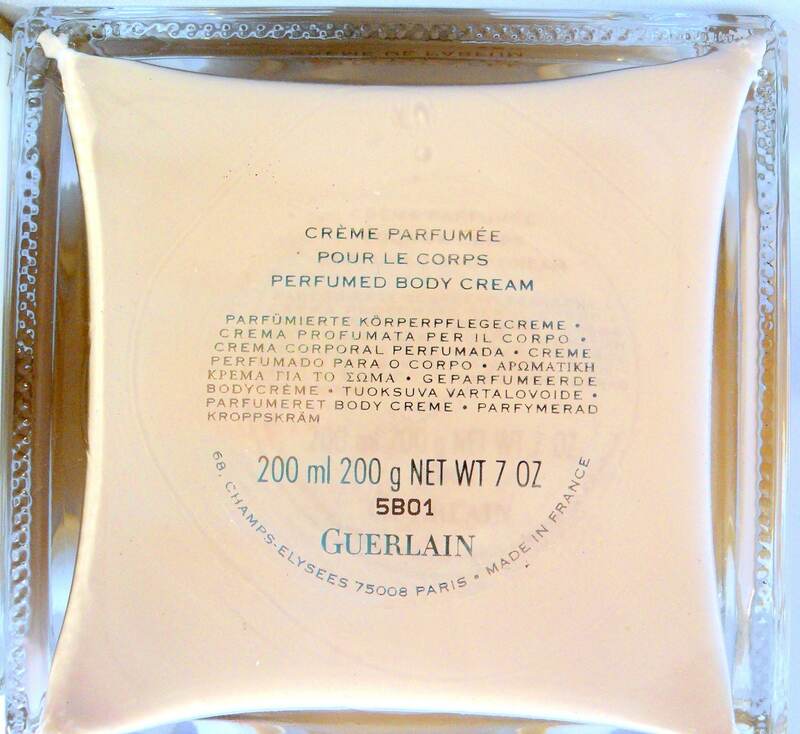 This is a very luxurious body cream, I tried it once by scooping a little bit out with a spoon but it just isn't for me, it has a light scent and I like scents that are stronger. The scent stays fairly close to the skin and this makes it intimate. 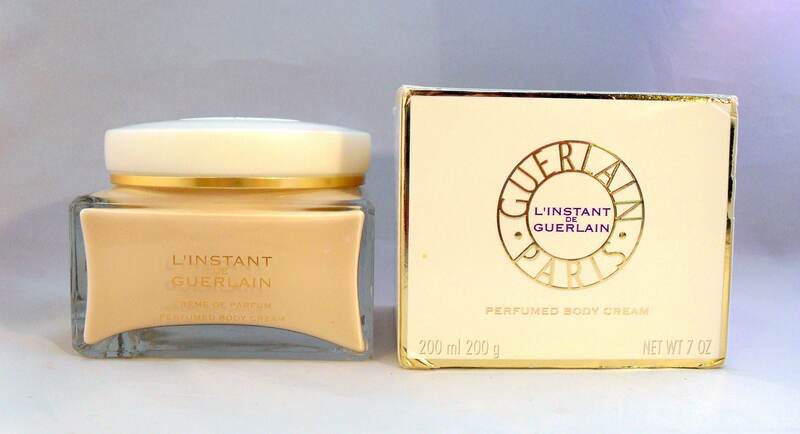 This body cream has been discontinued by Guerlain for years and can be hard to find. L'Instant has notes of citrus honey accord, Chinese magnolia accord, Sambac jasmine, ylang ylang, and an amber accord. The batch code 5B01 is on the base of the jar and on the side of the box. the box shows some wear from storage.